Like many teenage girls, Ali longs for adventure far away from her boring home-life. A chance encounter with The Doctor gives her a shot at that dream, as she stumbles across a strange metal sphere that he claims he needs to stop a great disaster. Reluctantly, The Doctor agrees to take Ali with him as he races back to the days of Hammurabi, where a planet-devouring monster threatens the Earth! If nothing else, The Beast of Babylon is notable for confirming the long-held fan-theory that The Ninth Doctor went off and had a few adventures in the span of time between when he left Rose Tyler on Earth and when he came back a few seconds later (from her perspective) to tell her The TARDIS traveled in time as well as space. 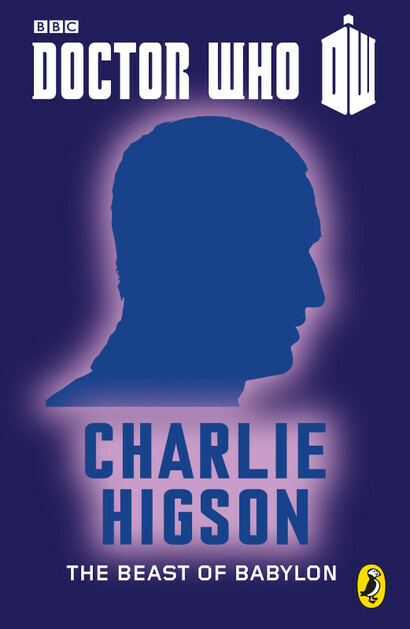 Thankfully, Charlie Higson's story will please more than just the trivia-obsessed Whovians. His take on The Ninth Doctor is good and Ali is an interesting companion - an odd combination of Leela and Rose in terms of personality and humor. What I found most fascinating about this story is how it has a number of eerie parallels with some of the comments made about The Doctor and The Time War in The Day Of The Doctor. Chief among these are the reasons The Doctor takes Ali home instead of letting her continue to travel with him at the story's end. Little more can be said without spoiling the adventure but suffice it to say most Doctor Who fans will enjoy The Beast of Babylon.